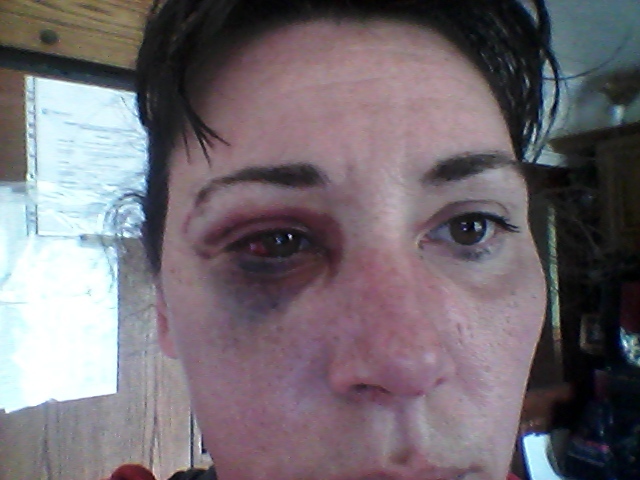 My name is Stephanie and I am an American living in Ireland and I need to raise €20000 to have reconstructive surgery on my face and implants after two men kicked my face during an unprovoked assault in Galway City. Hello! My name is Stephanie and I am a 42 year old American woman who has been living in Ireland since 1999. A few years ago I started a small tour company called Mór Tours Ireland out of Galway City. I take tourists to Inis Mór (the largest of the Aran Islands) and lead bicycle journeys to archaealogical sites off the beaten track and teach Anglo-Irish relations, Celtic mythology, ancient history and topical issues affecting the islanders. Although my company is small, it has been very highly rated and I have been looking forward to Summer 2016 as potentially my best year yet. Unfortunately, I am not certain if I will be keeping my business or even staying in Ireland, my home for the last 16 years. 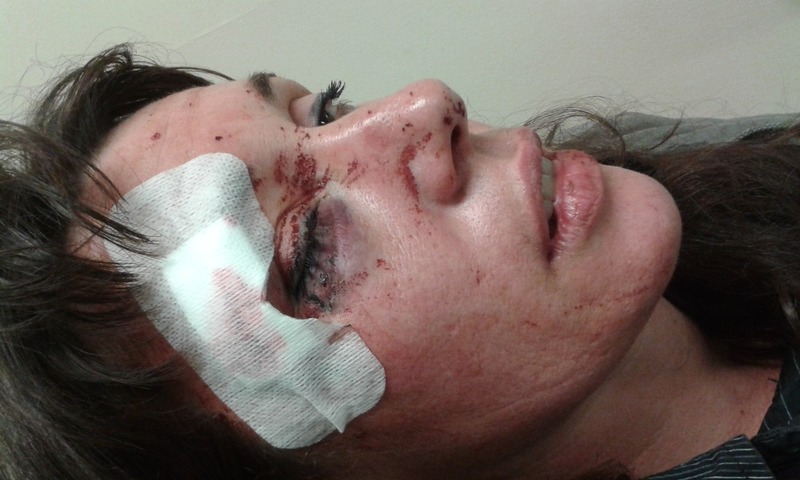 On August 23rd after attending a friend's birthday party I was viciously assaulted in Galway City. In a completely unprovoked attack two men hit and kicked my face in. I have several fractures in the right side of my face including my eye socket and my jaw, permanent nerve damage, broken teeth, and brain trauma. 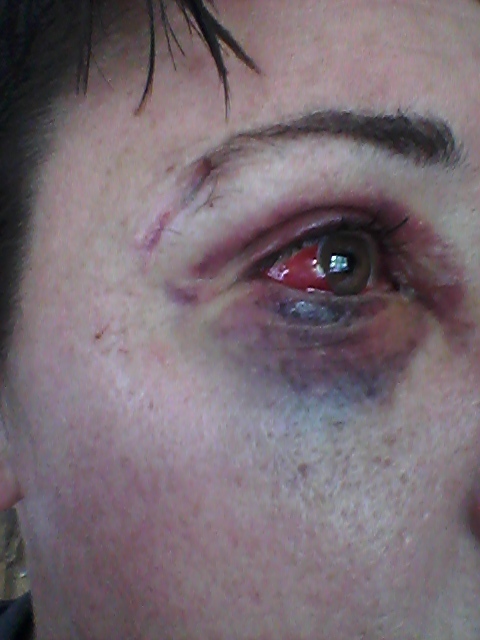 I have had one surgey through the regional hospital to repair my zygomatic arch but that surgey did not meet the expectations and now I need three plates to bring my face back together and even with this surgey I will not look the same as I did before I was assaulted. I am asking all my friends and all their friends to help me raise money to buy me new teeth (I have already lost 4 teeth and at least 2 more are breaking out) as in implants and also to pay for me to have reconstructive surgery so that I can look at myself in the mirror without crying. I need the plates to rebuild my face but also follow-up plastic surgery to make me look like the happy person I used to be. Also I am in constant physical pain with headaches and neck stiffness. I cry all the time, I never feel settled or safe and I am seriously traumatised by this assault. 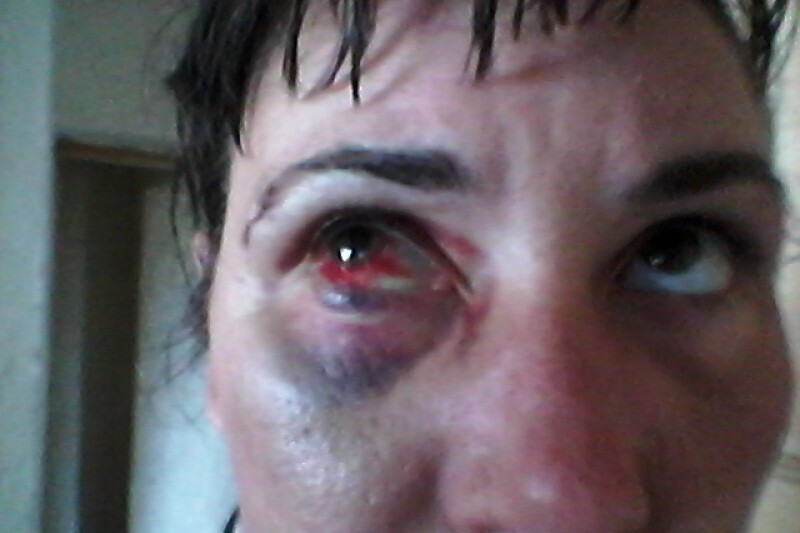 Even if we all work together and raise the money to rebuild my face, I am not sure I will be keeping Mór Tours Ireland nor am I certain that I want to live in Ireland any longer. 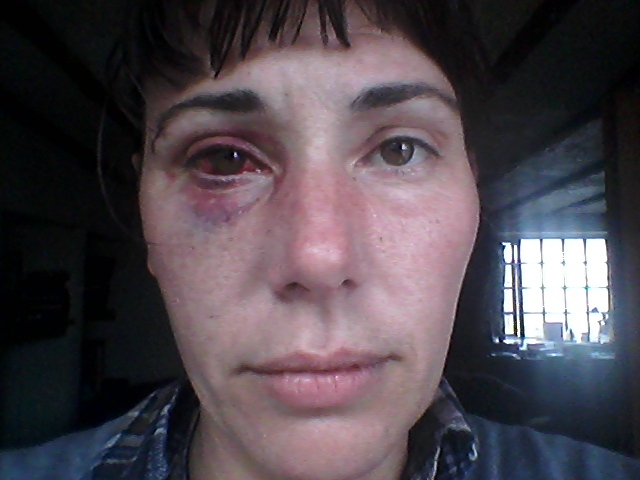 I do not have the money to pay for the surgery out-right in a private hospital without help. The sooner we raise this money the sooner I can have the surgeries, but obviously the facial reconstructive surgery is the most imminent. As difficult as it is, I must prioritise the facial surgery and then fix my teeth as I can afford to do so. As I am writing this plea, I feel heart-broken and distressed but at least I do not feel completely helpless anymore. I know that I have a lot of wonderful people in my life and some of them will not have the means to support me financially but will help pass on my gofundme request to others. And for those of you who do have the means I thank you in advance for your generosity. You have no idea how much this means to me. My friends in Cork know that I spent a lot of time raising money for the Irish Red Cross disaster relief by organising music concerts and other fun charity events but the truth is I do not have the energy to try to organise a music concert to pay for my broken face and broken teeth. I wish I did. I wish I could be the person I was before two men decided to ruin my face. I wish I were a stronger person but right now I am very weak, very tired, very depressed. I need all the help I can get and that includes prayer and positive energy. So whatever you have to spare, whatever you can afford to send, or whatever prayers you can say I thank you for all your help. Thank you all so much for your support and love and prayers. I have complete faith that I will be able to fix my face and teeth in the next few months. There is no way I would be able to do this without your help. Thank you again! I will continue to update you on my progress. Wow! I have no way to express the gratitude I feel right now at this time. One hundred and fifty five friends and strangers have donated between 5 and 100 euro each, bringing my total monies raised to nearly 4000 euro in 4 days. Unbelievable but true! And I have wonderful news to share with you as well: a friend of mine today may have found a way to pay for my face plates. I have to research this option but if he is correct than the only money I need is for my teeth which are expensive to fix but not nearly as dear as private clinic surgery. I am so delighted at all your positive energy, love, recommendations, advice, donations, letters, phone calls and texts. People from all over the world have sent me love over the last 4 days and I am completely renewed in faith and spirit. There is no way I will ever be able to give back as much as I have been given but I promise to try. Thank you all so much. Please know that I love you all even though I may not have thanked all 155 of you individually. You're my heroes! Thank you all so much for your support! I am overwhelmed at everyone's generosity, prayers, love and hugs. Never in my wildest dreams did I expect so many people would help me. I cannot thank you all enough. Love to you all! This is a scam ask anyone living in the Aran Islands . She is just lining her own pockets. My name is Paul and I have known Steph for 16 years. She is one of my closest friends. I was with her often in the weeks and months after the attack on the bridge. I can attest first hand to how someone who was once incredibly bubbly and outgoing was too frightened to go into the city at night or be alone. Since then she has had frequent sever headaches and the trauma is still very much with her. Hi, want to send you all my good thoughts for your peace of mind and your recovery, arseholes wont win the game, you r stronger thant that i m sure,easy to say but keep positiv stephanie, new pages ,new chapters to write for you . Hello Stephanie, I am very sorry to see what happened to you. You don't expect this in Galway. I would like to offer you some help you may find useful, please get in touch with me on facebook. Is anyone having problems making a donation as I am? Stay strong Stephanie!! I am rallying my friends from facebook to help you out!! So sorry to hear about your ordeal. Please get in touch. I would like to help. This is sickening, I'm so sorry to hear about what happened. I hope the men were caught, please keep us all updated.